When a home goes into foreclosure, people who are renters of the house might find themselves to be innocent victims. Even if you have always paid your rent fully and on time, you could face being forced out of your home. It's likely you can't or don't want to move. By either buying the home yourself from the foreclosing lender or using certain legal rights to continue to rent, you don't have to. You can contact the foreclosed home's lender to ask about bidding through a foreclosed sale auction or negotiating a purchase. You also have some legal rights to continue to rent the home for the duration of your lease or another specific amount of time. If you are a renter living in a home facing foreclosure, you usually get some sort of advance notice. Either you are contacted by the mortgage lender or through the posting of legal notices on the property itself. This gives you the opportunity to participate in the foreclosure sale auction if you want to buy the home yourself. If you don't want to risk losing at the auction, contact the lender directly beforehand to negotiate a purchase or ask about being allowed to take over the existing mortgage. Of course, you would have to have enough financial resources and a good credit history to be approved by the lender. 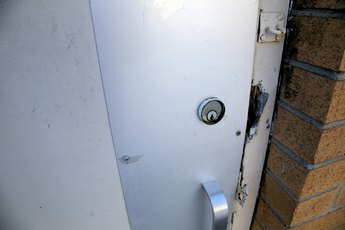 The federal Protecting Tenants at Foreclosure Act of 2009 provides renters protection from being automatically forced from their homes due to a foreclosure. This law basically gives any existing lease priority over the foreclosure action. If your lease is month to month or has less than three months until it expires, you can't be evicted for at least 90 days. An existing lease with a longer time until expiration must be honored for the remainder of its term. 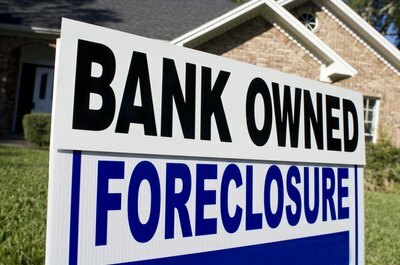 In other words, this law forces the foreclosing bank to continue to honor your existing lease. Even though the federal law prevents you from being forced out of your home, you still need to pay the rent per the terms of your lease. However, because of the lengthy and complicated nature of the foreclosure process, it isn't always clear who the legal landlord actually is. It is important to verify who the current legal owner is and to pay that party the rent as it is due. However, most states do allow the foreclosing bank the right to directly collect the rents due at the very beginning of the foreclosure process. The bank must provide you with a written notice to enforce this right. To be protected by the federal law, you must be a legitimate tenant as per the law. This means you cannot be an immediate family member of the landlord who was foreclosed. Also, you must have a lease that was properly negotiated. You can't be the landlord's friend who recently moved in or paying rent that is significantly below the market rate. The federal law gives precedence to any local laws that give tenants even greater protection. An example of this is the "just cause" eviction law seen in New Hampshire and New Jersey. These laws do not allow eviction at any point solely due to a foreclosure.